Seeing how this is the month of frights and ghoulish delights, I thought we would look at a true American horror depiction of Quasimodo. 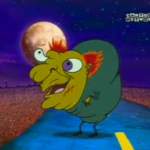 I course mean the season 1 episode 8 episode of Courage the Cowardly Dog entitled “The Hunchback of Nowhere .” Courage the Cowardly Dog, is an comedy horror cartoon that aired on Cartoon Network. 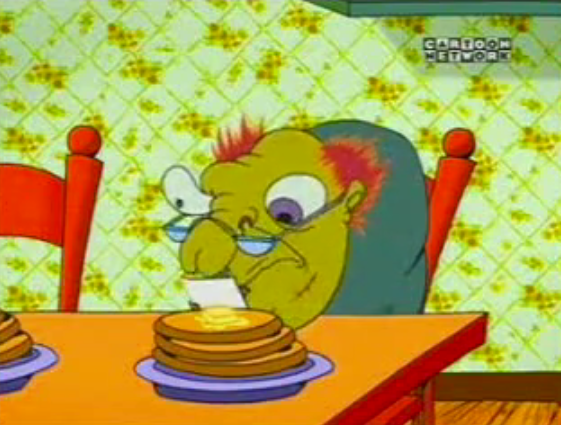 It’s about a dog named Courage who lives Eustace and Muriel Bagge, an elderly couple who in Nowhere. The show revolves around them getting into bizarre paranormal and supernatural misadventures. Courage is overly frighted, Eustace is mean and selfish and usually mocks Courage while Muriel is sweet and kind. So let’s not waste this glorious month, let’s just drive into the plot now. It’s starts on a dark and stormy night as an ugly Hunchback, i.e Quasimodo, looks for a place to stay but is continuously rejected because of his appearance. He reaches Courage’s house and Eustace, in his normal fashion, callously turns him away. Courage however feels for the lonely Hunchback. 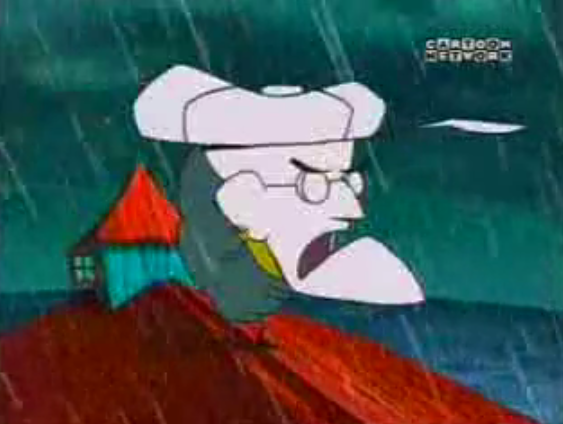 Eustace then orders Courage to fetch his raincoat which is in the barn. Courage ventures to the barn where he hears bells. As it turns out, Quasimodo has taken refuge in the barn and has set up an array handbells. Courage and Quasimodo quickly become friends. Their merriment is interrupted when Eustace comes into the barn and demands his raincoat. 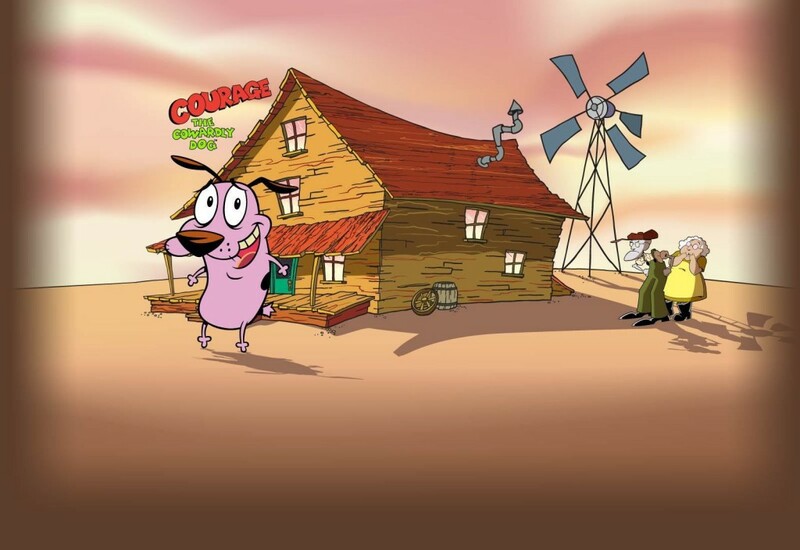 Eustace then harasses and scares Courage with scary eyes. After Eustace leaves Quasimodo cheers Courage up with some impressive shadow puppets. The next dog Courage invites Quasimodo into the house. Muriel is welcoming to a friend of Courage but when Eustace finds Quasimodo, he orders him to leave but is overruled by Muriel. Eustace proceeds to insult Quasimodo’s ugliness. Courage however feeds Quasimodo insults targeting Eustace’s baldness. 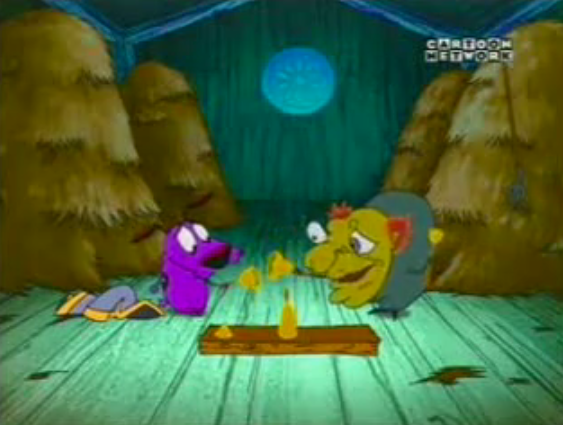 Muriel then sends Eustace to eat in hen house since he being inhospitable to a guest. Later, Eustace is demanding dinner and finds Muriel watching a handbell concert performed by Quasimodo and Courage on the roof of the barn. 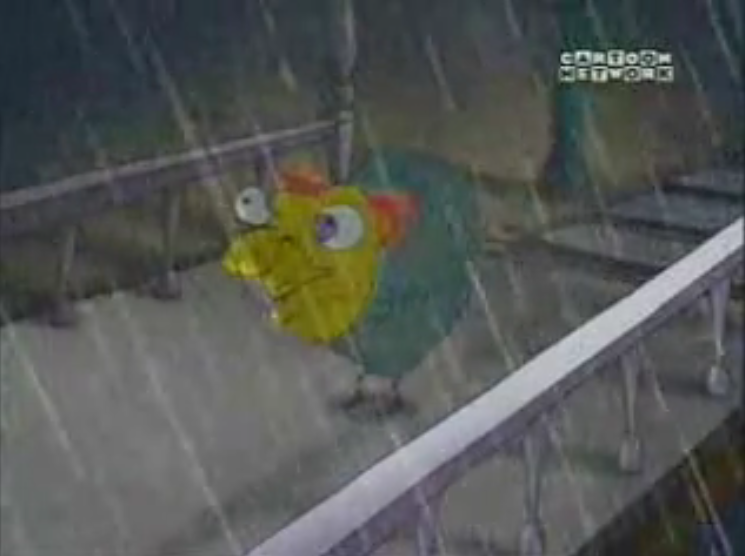 Eustace becomes enrages when he sees Quasimodo wearing his precious raincoat. Quasimodo takes it off and Eustace orders Quasimodo to leave. As Quasimodo leaves, Eustace calls Courage stupid and scares him with the scary eyes again. 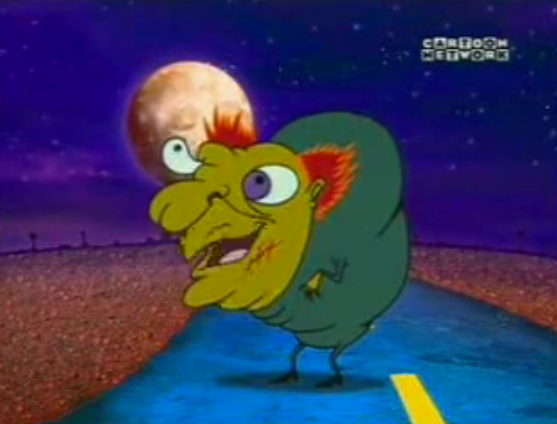 Quasimodo then stands up to Eustace and shows him the true face of ugliness, a mask of Eustace. Eustace becomes so terrified that he falls off the roof but is fine. After the rain passes, Quasimodo decides to leave. 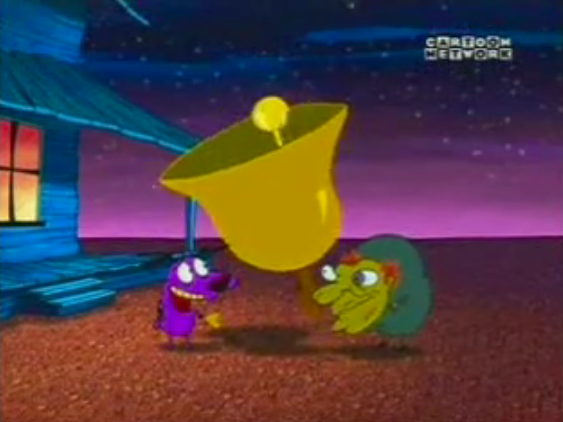 Courage pulls out a handbell and Quasimodo pulls out a cathedral-size bell and then two have a laugh. Quasimodo thanks Courage and Muriel for their kindness and hope he find people like them out there.